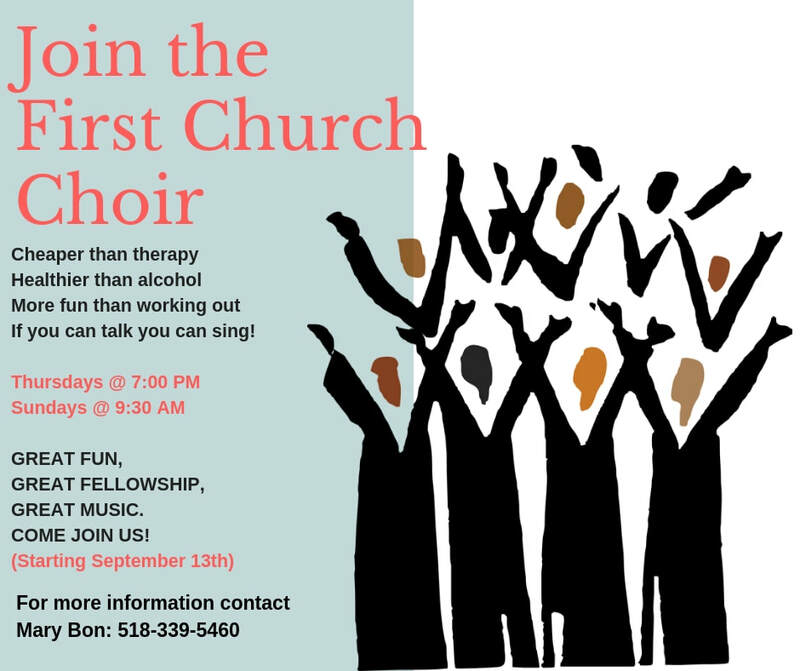 The First Church choir offers music to support and enrich worship at regular Sunday and special services from September to June. 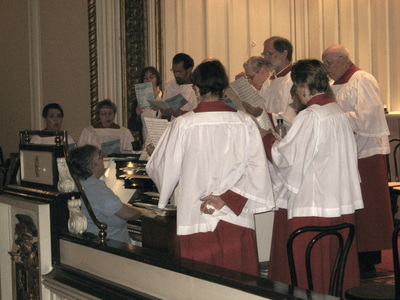 Membership in the choir provides opportunities for musical growth and good fellowship. The senior choir rehearses Thursday evenings at 7:00 pm. New singers are always welcome. 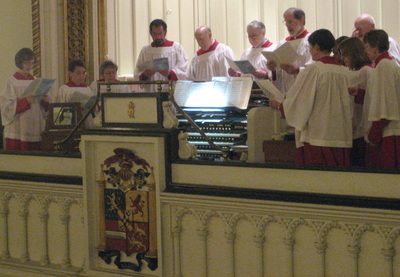 The First Church organ, recently renovated, fills the sanctuary with glorious sound. 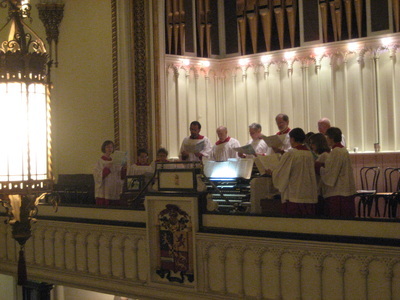 Special pre-service music is offered at 10:15 am each Sunday during Advent and Lent. An augmented festival choir provide special musical offerings several times during the year. Special concerts by the First Church choir and organist and by visiting soloists, organists, and ensembles bring music to the wider community.